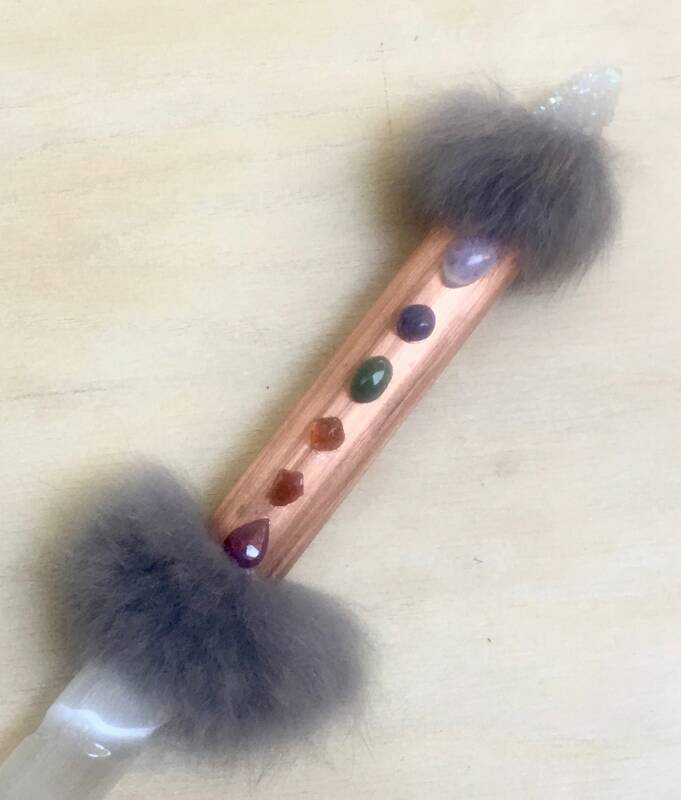 Opened & Aligned - Assists with Clearing, Balancing & Aligning the Chakras; Aids with Healing, Raising Vibration and Clearing Limitation; Offers Protection & Grounding; Encourages Love, Courage, Intuition, Peace, Connecting to Higher Realms & Mother Earth. 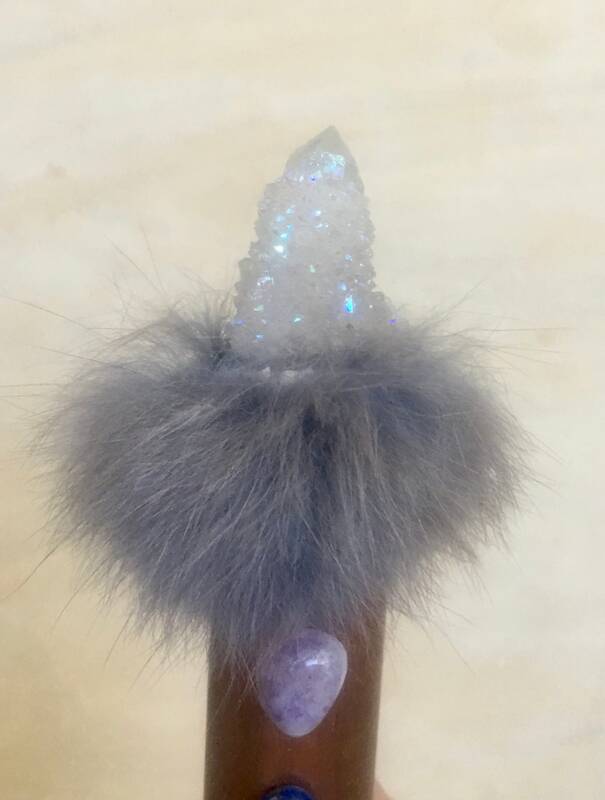 Angel Aura Spirit Quartz - quartz that is permanently treated by fusing platinum and/or silver crystals with heat and vacuum to give it its gorgeous angelic coloring. 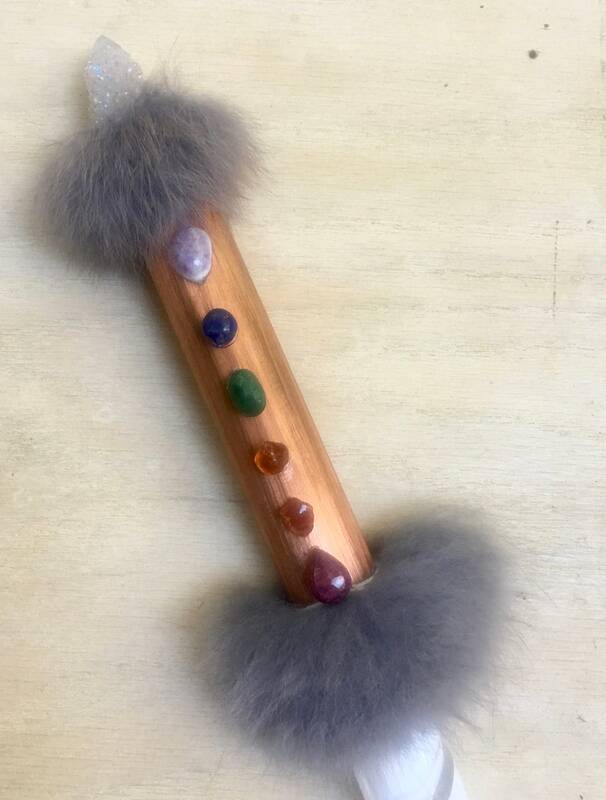 It a stone of high spiritual energy. Can protect, balance, and bring energetic health. 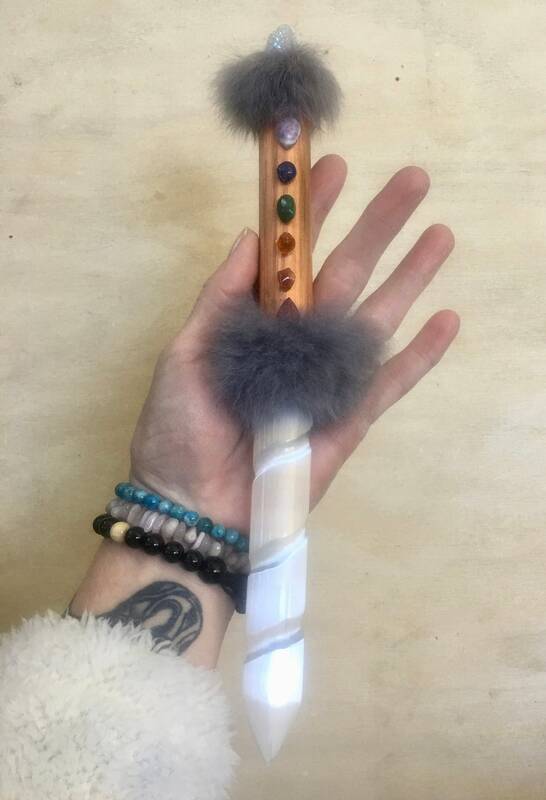 Assists with meditation and connecting to the Soul’s purpose. 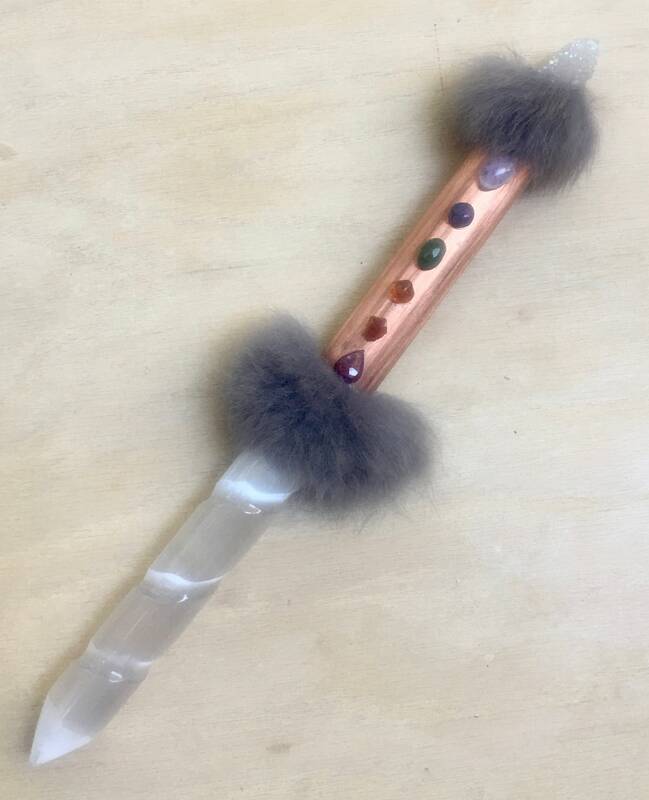 Helps with angelic communication and communicating with Higher Self and inner wisdom. Assists with accessing Akashic records and past life recall. It is said to bring peace tranquility and angelic protection. 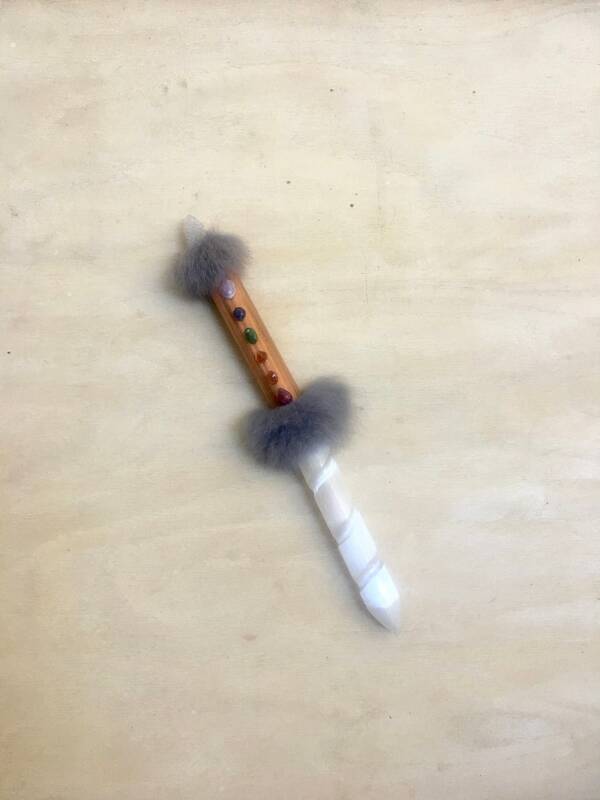 Rabbit Medicine - a symbol of prosperity, abundance, and fertility. The rabbit symbolism of longevity is very true because of its ability to reproduce and build ancestry. Rabbit also reminds us to be quick on our feet when it comes to doing the things that we love and be fast to recognize opportunities that move us toward our goals. Emerald - balances emotional turmoil, and the confusion of your time and space perceptions, centering and bringing you into the Now. It encourages you to contemplate Spirit, the desire to serve, brotherly love and truth. 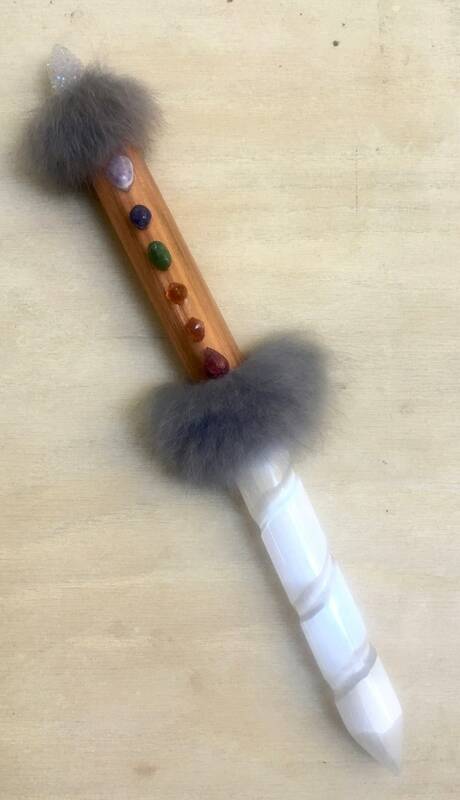 It intensifies your Chakra energies and opens you up to your own Divinity and bestows deeper spiritual insight. Emerald brings you prosperity, tranquility, compassion and balance. Emerald is the stone of physical immortality and rejuvenation, the fountain of youth that keeps youthfulness.